Trying to figure out what to do in winter in Tampa? As the weather gets cooler, winter in Tampa offers an opportunity to check out local attractions like the Florida Aquarium, get in the holiday spirit at the Tampa Winter Village, scope out manatees along the Gulf, spend a day orange picking, and so much more — including some great Tampa restaurants. 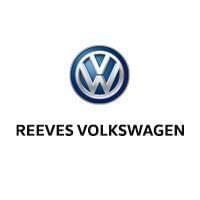 Learn more about what you can do around Tampa, and let Reeves Volkswagen know if you have any favorite Tampa winter spots we missed. On a cooler winter day, grab the family and head to the Florida Aquarium for an aquatic adventure. The Florida Aquarium features a variety of Florida water life from sharks to gators, as well as penguins and other animals from around the world. Florida’s natural orange groves ripen fall through spring and open for visitors. Take a drive to one of Florida’s groves to walk through the trees, smell the fresh oranges, and pick out a tasty fresh fruit snack. Chilly Tampa, FL weather is the perfect time to go looking for frolicking manatees. When Gulf water temperatures drop below 68 degrees, these happy, whimsical cows of the sea head closer to shore to warm up. While you can see manatees anywhere with easy Gulf access, Tampa Electric’s Manatee Viewing Center in nearby Apollo Beach is a beacon for these water-bound mammals thanks to the warm runoff water from the power plant. If you can’t get in the holiday spirit without snow, Tampa’s Curtis Hixon Park turns into a Winter Village each year. Decked out like a Winter wonderland, Winter Village has cute boutique pop-up shops with local holiday gifts, a winter cafe, and a winter-themed trolley ride. The centerpiece of the Winter Village is Florida’s only outdoor ice skating rink. To see the best display of holiday lights in the Tampa area, head to Brandon’s Wonderland of Lights. This winter festival boasts an array of still and animated holiday lights that are truly breathtaking. While you’re there, you can walk around their Christmas Village featuring amusement park rides, a horse-drawn wagon, and a North Pole Christmas Train.